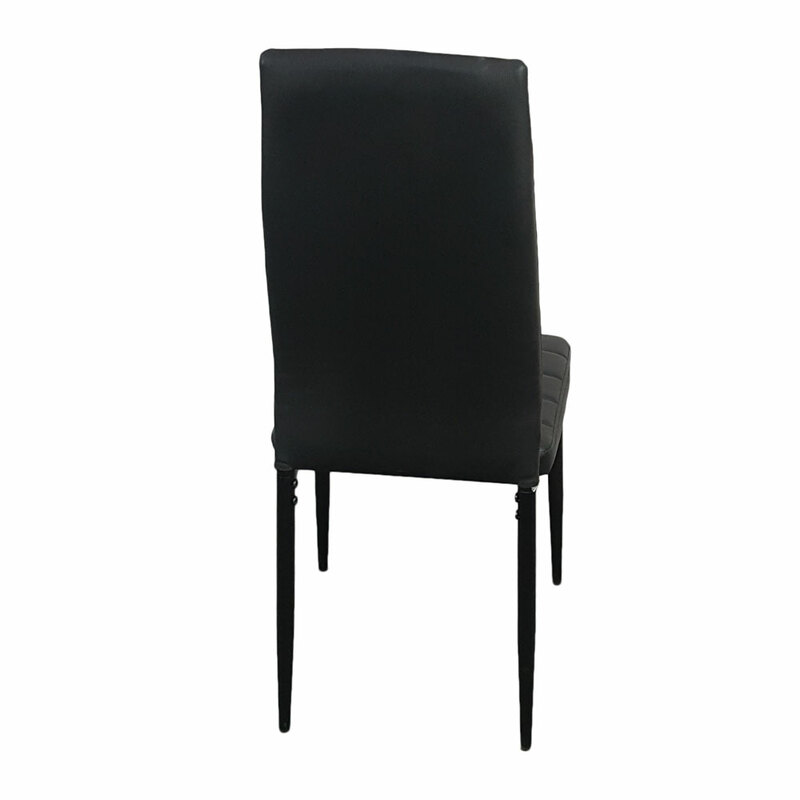 This Dining Chairs are Made with high-grade PVC, iron and sponge, the chair will be durable and comfortable to use. 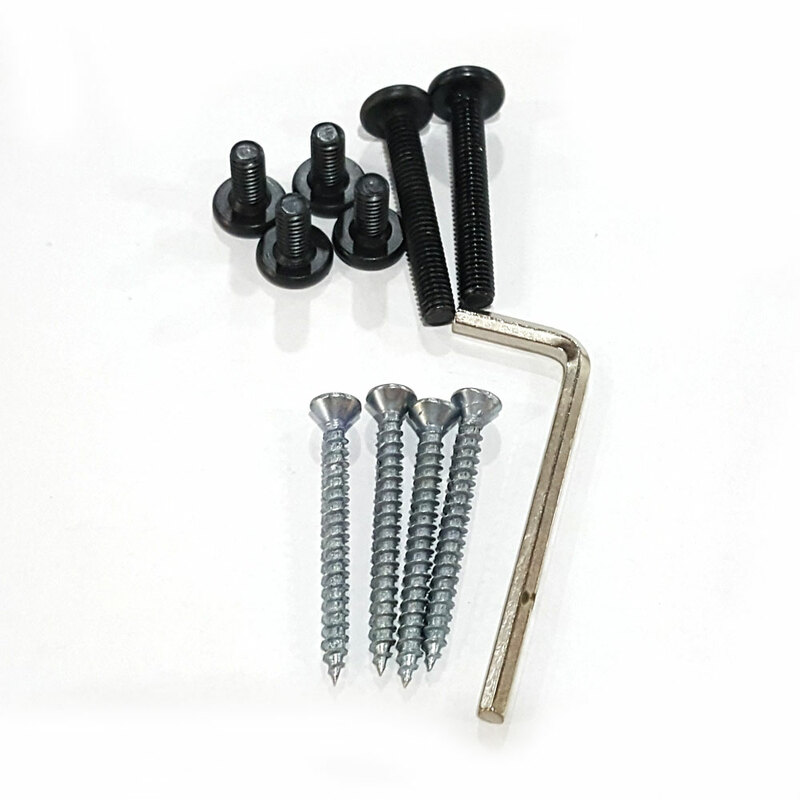 Its high backrest could provide support when you are sitting on. 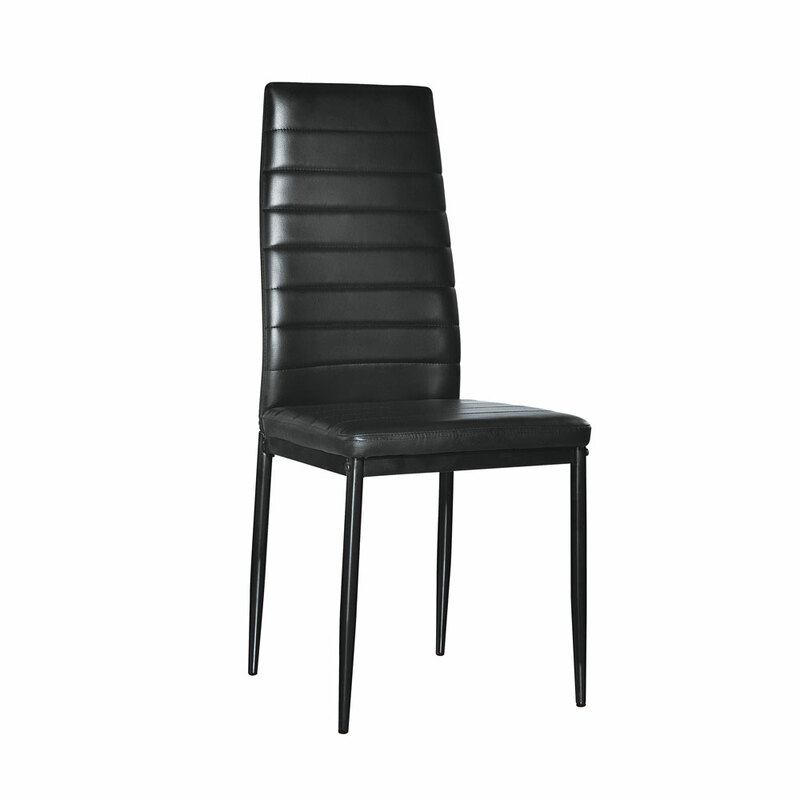 Concise but stylish, simple but elegant dining chair for household! 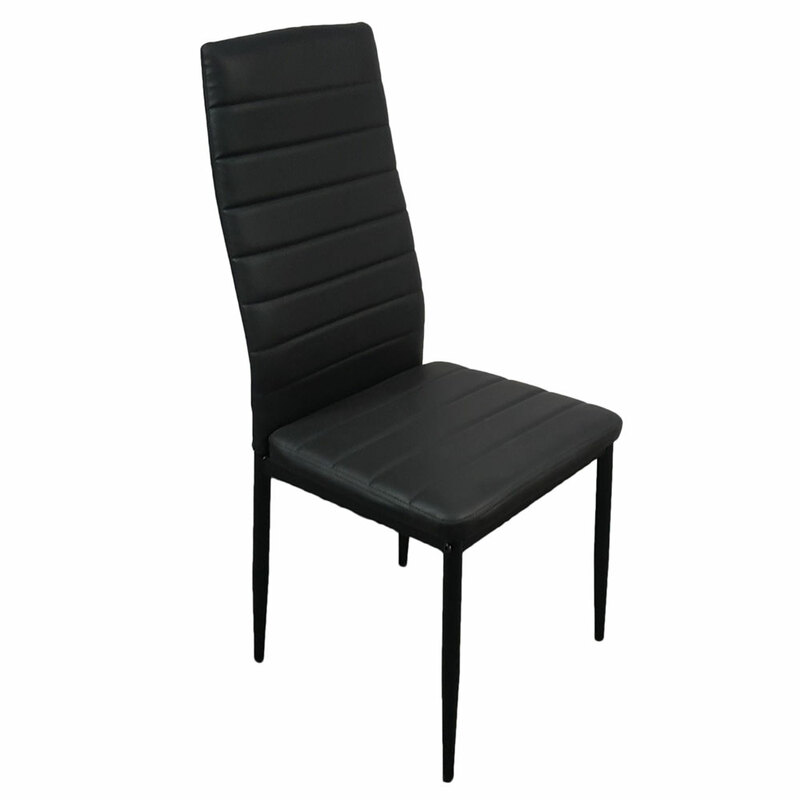 Our dining chair adopts comfortable fabric that is durable and cost-effective. The simple and atmospheric design will bring different enjoyment to your life. The chairs that I ordered were delivered on time.Easy to assemble,very light-weight!We like the full black.They look nice with my black dining table.Definitely recommend! 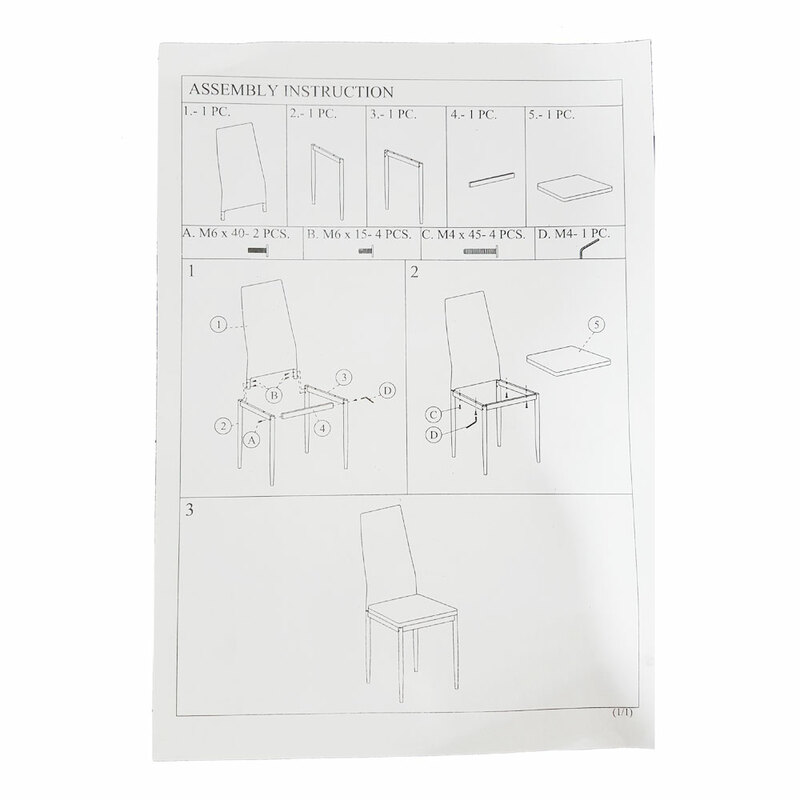 I bought four of these chairs here a few days ago, and the logistics was very fast. I received the goods in a few days. The chairs look good and steady, and I use them as a dining chair in my restaurant, which is very suitable.